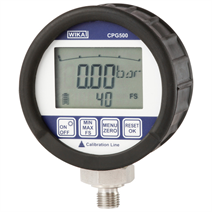 The model CPG500 digital pressure gauge enables the measurement and display of pressure values in a single instrument. The accuracy of digital measurement technology and the simplicity of an analogue gauge are combined in this instrument. 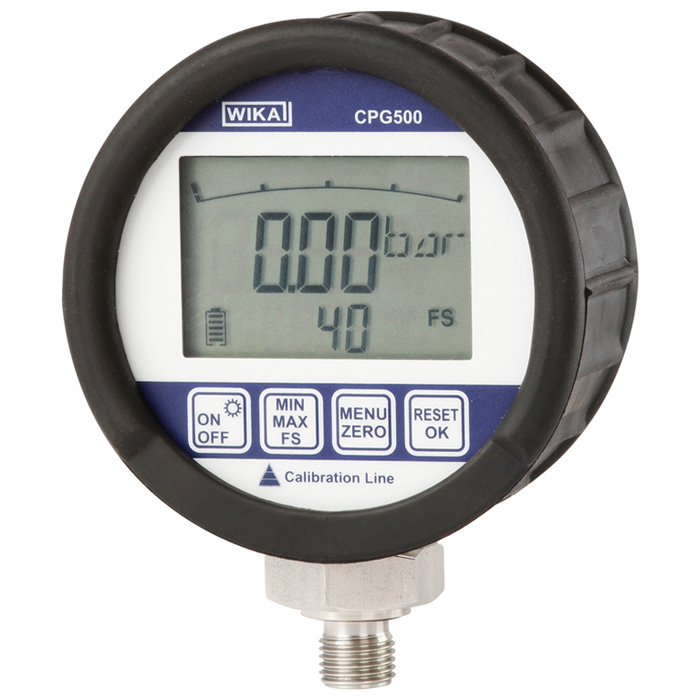 The CPG500 offers an accuracy of 0.25 % of span in eight pressure measuring ranges. Readings can be displayed in one of five standard units. With a measuring rate of 100 measurements per second, the CPG500 features a very high measuring rate. With this, fast pressure peaks and drops in pressure can be detected. The bar graph display and drag pointer function integrated into the display, as well as retrievable MIN/MAX peak values, enable effective analysis of the measuring point. In order to prolong the battery life, the CPG500 features an automatic switch-off function. With the ZERO function, the display value can be zeroed with the simple press of a button. An activatable filter function stabilises pressures which fluctuate strongly, and enables the pressure value to be read easily. For maintenance and service applications, various case systems are available. Service cases with pneumatic or hydraulic pressure generation are available. For each digital pressure gauge, the accuracy is certified by a factory calibration certificate which accompanies the instrument. On request, a DKD/DAkkS calibration certificate will be provided for this instrument.